Though web content can take on many different forms, it’s clear that photography dominates web design. Nowadays, you’d be hard pressed to come upon a site that doesn’t have some form of photography – and this is hardly surprising. Photography evokes powerful emotional responses. It’s now faster, cheaper and cleaner than ever before. 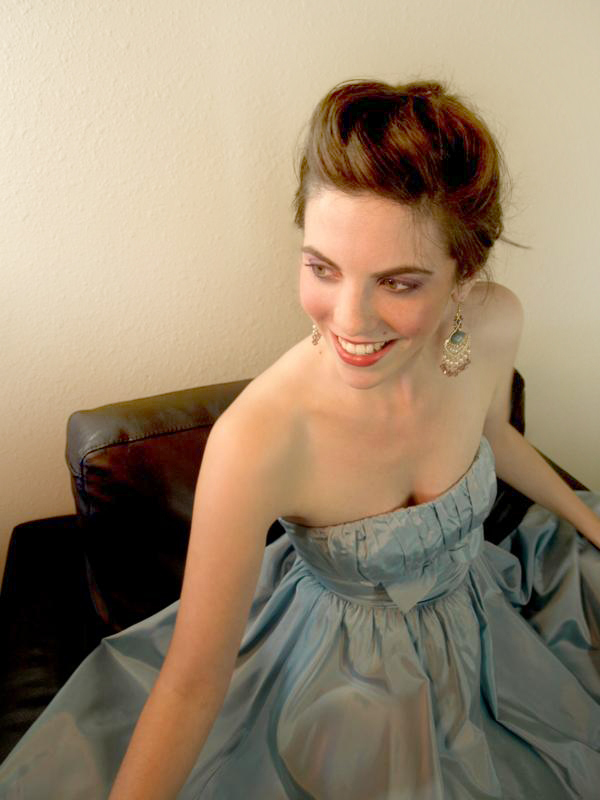 Most professional photos featured on websites have undergone some kind of treatment or editing. Usually this is done so that the photo blends well with the site content and theme. I’ll give you a quick rundown on each look, share a few examples, highlight some Photoshop action plugins that can give you a “quick fix” and then show you how to achieve these looks manually in Photoshop. And remember there’s almost always more than one way to achieve any of these effects. The first style we will cover is the retro/vintage look. Over the years, despite the advancement in technology and modern culture, this look has become increasingly popular. Its popularity isn’t quite explained but using the effect can yield beautiful results. It should be noted however that this look does not work with every photo so you really have to experiment and see which photos can benefit from this treatment. 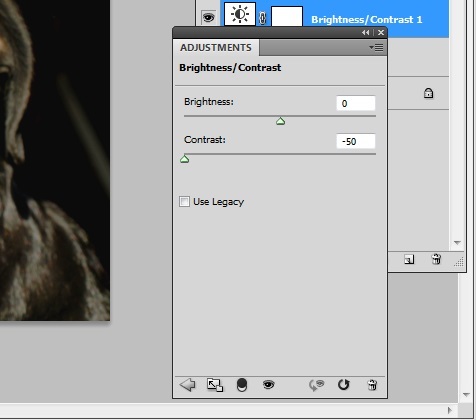 The original lighting and camera settings can affect your final look so adjusting your layers is important. Though the retro/vintage look is extremely popular it is often used in wedding, fashion/makeup and “indie” related websites. The look has also been used with websites of various different content including nature and interior images so don’t let this stop you. As noted before lighting and camera settings will generate a particular look when applying your vintage look. Colors often associated with this look are blue, red, purple, green and yellow. You can apply a muted look as well when using a retro/vintage look. Keep in mind that if you are applying the style to images with dark colors or have a model with a darker shade of skin that you need to decrease your amount of adjustments as not doing so can have your model’s skin taking on one of the aforementioned colors. Pick your desired image that you want your effect to be applied to. In these tutorials I will be using photos that I have personally taken. 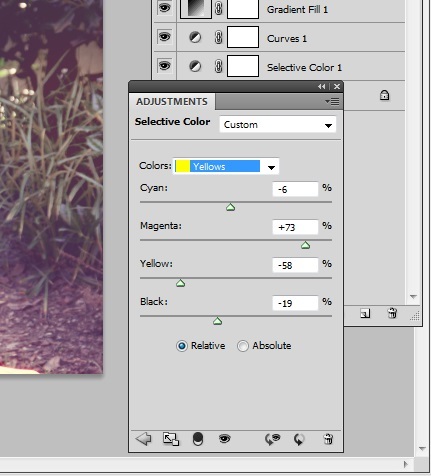 Click on the Adjustment Layer button at the bottom of your layer window and choose Selective Color. Go to the newly open window and select the Blacks from the drop down and then move the black channel to -13. Now select the color to show Neutrals and move the black channel to -16. 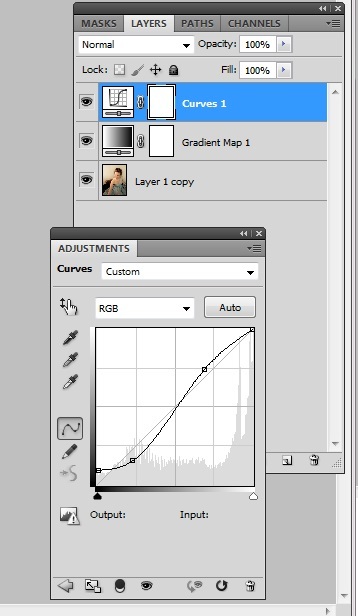 Add a new adjustment layer the same way you did in step 2 but choose Curves instead. Change the Red, Green and Blue channels to reflect the image below. Create a gradient fill layer and change the colors so that they reflect #ec2a61 and #440332. Keeping a linear gradient you want to have an angle of -127.87 degrees. Change the layer mode to Screen and drop the opacity to 24%. Now add a second gradient fill layer but this time have your colors reflect #0065e1 and #1ab044. Have your linear gradient angled at 39.29 degrees. Change the layer mode to Lighten and drop the opacity to 15%. 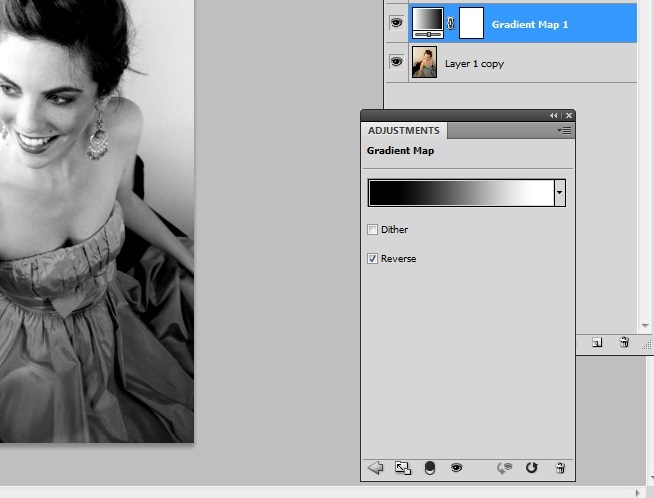 To finish up our vintage look we will create one more selective color layer. This time we will change the Yellows, Greens and Blues. The muted look is another look that can be easily applied in Photoshop. The idea is to simply mute your colors instead of making them pop. This can give your image a slightly unreal feeling — perhaps like a dream or a memory. Do note that muting your colors does not mean that you eliminate the colors of your photo altogether. That would be the act of turning your image into a black and white or sepia image. Though the muted look can be added to other stylized photo effects, particularly those that are retro/vintage or black and white it can be applied by itself with no other effects included. Also known as a faded, washed out or desaturated look, the muted look is perfect when you want to add an image but don’t want it as the main central focus of your website. It is also ideal if your website uses cool or pastel colors. Unlike the retro/vintage look you don’t have to worry so much with the original settings and lighting of your photo as you do with how much of an adjustment you use. Basically while you are washing out your colors you don’t want to completely do away with them and you don’t want your final image looking too gray. Websites that typically use this look are fashion, design and personal related sites. Like all other styles this look can be applied to any site category that you want such as sport and cultural sites. It’s really just up to your personal preferences. Pick your desired image that you want your effect to be applied to. I will be using my own image here. Add a new adjustment layer by clicking on the black and white icon at the bottom of your layer window and choose curves. On the RGB channel change the curves to reflect the image below. Make a new adjustment layer but this time with the brightness and contrast. Scale the contrast slider to the far left so that it is -50. Create another curves adjustment layer and change the Red and Blue channels only to reflect the image below. Finish up by adding an adjustment color fill layer. Change the fill color to #0a1939 and then set the layer mode to Screen at 60%. While maybe not as popular as the other styles included in this article the monochromatic look has found some popularity within recent years. The look has not just been applied to just included photography but websites overall. This look should not be confused with achieving a black and white image. With applying a monochromatic look you are simply changing your image into one that uses one, singular color of varying shades (due to lighting) as opposed to multiple colors. Adding a monochromatic look definitely makes your website stand out as the look is slightly unconventional. Not only that but it makes matching and choosing your elements a lot easier as you only need elements of one particular color. This style is perhaps one of the more easier and faster looks to achieve besides black and white. While you can use any color to create the monochromatic look the colors typically used are red, blue and purple. Darker shades of these colors are often applied in lieu of pastel colors but adding a muted look has been used in conjunction for those who don’t want such a bold look. There isn’t much to worry about when applying a monochromatic look, but you should know how dark or light you want the color to appear. You can always experiment, but do be careful as too dark of a color can make your photo hard to discern. You can often find this style used in websites that are agencies, art/illustrated and business related. Naturally you can also see these applied to sites that sell clothing. Pick the image that you want to work with to add a monochromatic effect to. I will be using my sunflower photo for this. 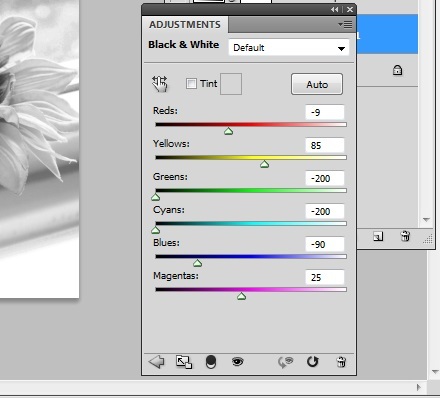 The first thing you want to do is convert your image to black and white under your adjustments menu. Once you have it black and white you will need to tweak the numbers like so. 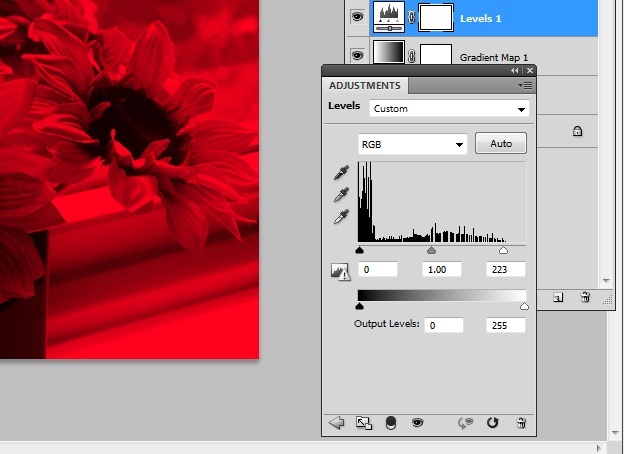 Now add a gradient map to your image by accessing the adjustments menu. Make sure the colors are #e10019 and #6f0303 and you check the reverse box. Don’t forget to change the layer mode to Multiply. To lighten up our image we will now add a levels adjustment and change the numbers to reflect the image below. We will now redirect the light of our image by adding a gradient fill. Change your colors to #ffffff and #373737. Make sure the linear angle is -90 degrees and the gradient scale is 117%. 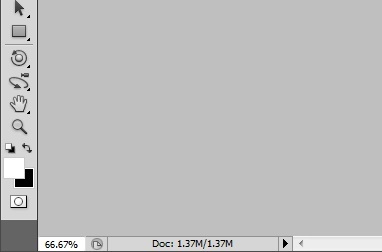 When you have input your numbers you can change your layer mode to Overlay with a 48% opacity. Finish your image by creating a color fill adjustment layer and fill it with #ffffff. Change the layer mode to Hue and drop the opacity to 9%. The most popular of the styles, the black and white look has been around and used a long time as it was used before the application of color was invented in both film and photography. As the more popular of looks it should not be surprising that this look has several “sub-looks” and has been used all over the place. The application of the look isn’t difficult at all as it is simply the act of removing all and any color from your photo. Photos that are black and white can be high contrast, overexposed, muted and even aged depending on what you’re going for. Tweaking your adjustment settings is the easiest way to get these sub-looks. If you find that the other styles just don’t work for your photo or does it justice then typically converting it to black and white will do the trick. Your camera and lighting settings will definitely determine the look of your photo when applying a black and white filter but don’t let that discourage you. Manipulating such settings like the brightness and contrast or even the levels can help you achieve a customized look you can be happy with. You will definitely catch this look used within websites of various categories as removing your photo’s color makes it a lot easier to include no matter if you’re an agency, architecture or artistic website. Do keep in mind that though this is true you do want to pay attention on how dark or light you make your final image. Pick your desired photo that you want to work with, preferably not a black and white image for this one. I will be using a photo I personally took. First thing you need to do is set your foreground #ffffff and your foreground to #000000. Next open up the gradient map adjustment layer menu and change the location of #ffffff to 12% and #000000 to 85%. 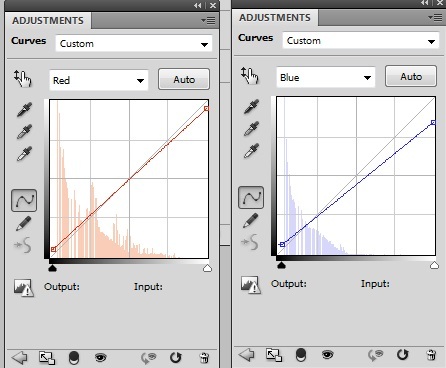 Finish customizing your black and white image by adding a curves adjustment. Change the RGB channel to reflect the image below. The last and final look we will cover here is the high contrast look. This is the look that you want if you want your image to be bold and eye-catching. When applying a high contrast look effectively your image will take on a “cinematic” look and will make your photos look as if they were taken by a professional even if they weren’t. The main goal of the look is to make your colors stand out just as much as the subject of the particular image. High contrast looks are great for highly stylized and thematic websites as opposed to minimalistic designs. This does not mean that it can’t be used with layouts that take on more simplistic approaches however. Do note that when using this style you can encounter the problem of producing an overexpose or over saturated look which often times than not does not compliment your image. To battle this problem you should concentrate more on the tweaking of your levels and curves instead of the brightness and contrast. Also while you can add other styles like the retro/vintage effect this style tends to work better by itself. Like with black and white images you are likely to find this style added to photos on websites of multiple categories. Websites that are more likely to feature the looks are hospitality, promotional and food/drink as bold colors tend to work for these type of categories. 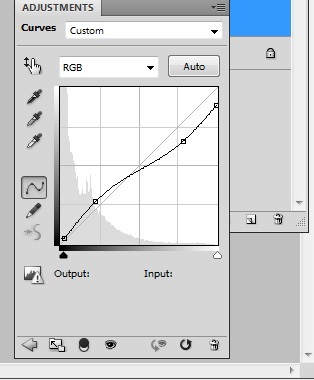 Once you have your photo open go to the curves adjustment layer and change the curve in the RGB channel like so. 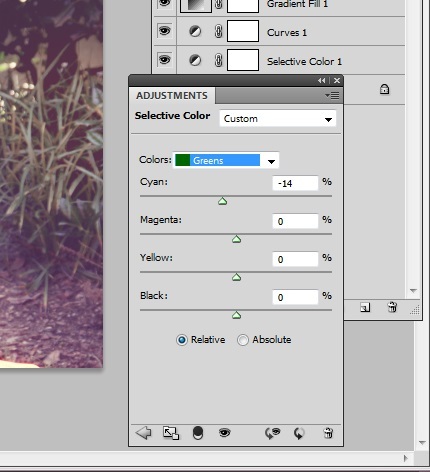 Create a selective color adjustment layer next and choose Blacks from the drop down menu. Change the sliders to match the image below. 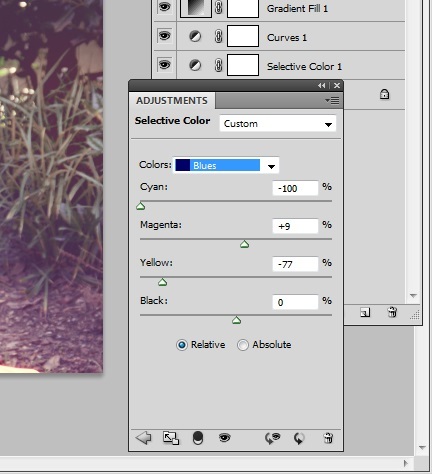 Add a hue/saturation adjustment layer and change the saturation to +14. Keep in mind my final images are entirely my personal preferences and may not appeal to everyone. Try to add your own alterations and tweaks as these can prove to benefit your photos and give them a unique look. Remember that it isn’t necessary to keep your adjustment layers at 100% opacity. Sometimes lowering your chosen adjustment opacity gives you a better and more suitable look in the end. If you personally edit your photos or just like photography let me know which is your favorite style to use. This article was originally written by Gabrielle Gosha and posted on Sitepoint.com. Really cool tips. It is really amazing what you can do with a picture to make it fit in a context… or is it the context that adapts to the picture? 😉 You can get cool effects and pictures even from your phone camera. Photoshop is the solution many times! Whoever put this together is an absolute GOD.